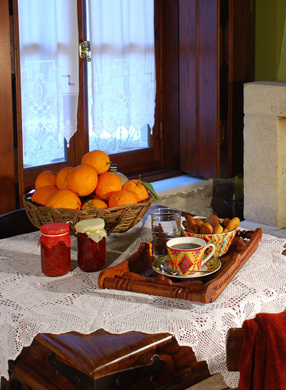 The Guesthouse is decorated with gusto and traditional elements, providing in parallel all modern conveniences that make your stay comfortable and pleasurable. Our rooms remain available for our visitors throughout the year. In the Guesthouse there is a spacious lounge area where you and your family and company can spend quality time, next to the fireplace, relaxing, listening to music, reading or playing table games. Our hospitality together with the combination of traditional and modern conveniences, guarantee our visitors an unforgettable stay during all seasons of the year.